Even if you’ve started eating well and working out, there’s still this one thing that is preventing you from getting the results you want—and keeping the extra weight off for good. Your best body is created through daily habits. That’s right—what you do on a daily basis day after day is what determines the strength, stamina, weight, and shape of your body. That’s what REALLY matters. And it sounds so simple, but people continue to struggle! The problem is that most people will stick it out through short periods of motivation where they eat SUPER clean and workout intensely every day. BUT THEN… the motivation slowly wears off, and old habits begin to creep back in. It all comes down to daily habits, my friends. To really get the results you want, you must find changes that you can continue on a daily basis—not for a few weeks. That way, they start to become routine and comfortable, fitting in with your other daily habits. When you do something enough to make it a habit, there’s less brain power and energy needed to motivate yourself. That action begins to settle into your routine so you do it automatically, like heading to the gym as soon as you get off work or prepping a healthy lunch the night before. Yes, the struggle to lose weight becomes a thing of the past when you make your changes into daily habits. The actions become part of your life and you’re no longer spending extra mental energy on making them stick. And what does that mean? You get to focus more on the important things in life! 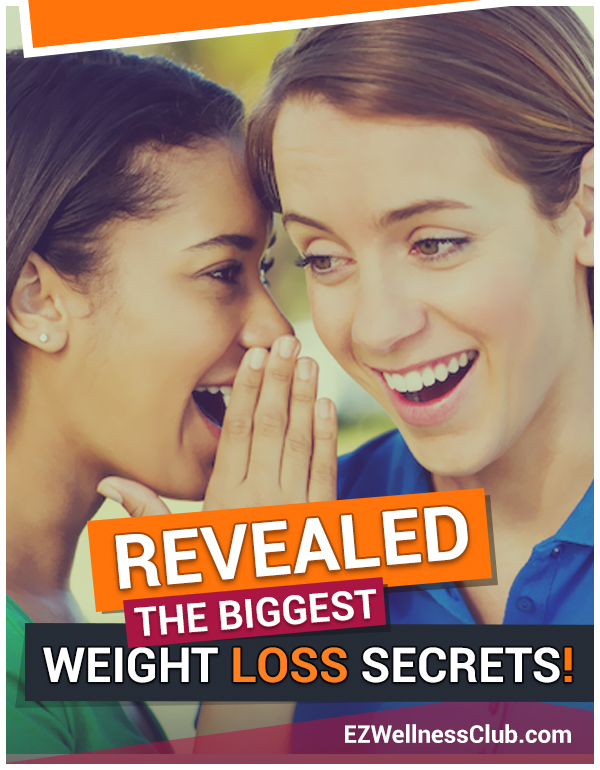 This is the best of the best in weight loss secrets. Take just a few minutes today and think about which healthy habits you can incorporate into your daily routine. Make sure it’s not too much to start with at once, but enough to get you into the habit of doing them daily. Doing a cardio workout, like walking, jogging, or biking) at the same time each day. Doing a resistance training workout at the same time each day. Having a refillable water bottle and carrying it with you whenever you leave the house. Drinking a green smoothie or fresh green juice each day. Having a big salad (full of fresh veggies and add-ins like nuts, seeds, beans, fruit, etc. and a tasty, healthy dressing) for lunch. For even more ideas, check out these weight loss tips. Write down some ideas for how to add health and fitness to your life, then get started. And remember—make sure they are realistic actions that you can continue to do long-term. Then, watch as your body begins to transform, more effortlessly than you’ve ever seen it change when you were focused on fad dieting or way-too-intense fitness.